The performance of a Wi-Fi home network depends on the signal strength of the wireless router, wireless access point, or base station. When a wireless client falls out of range of the base station signal, the network connection fails. Clients positioned near the boundary of the network's range likely experience intermittent dropped connections. Even when a wireless client is within range, its network performance can still be adversely affected by distance, obstructions, or interference. Don't settle prematurely on a location for the wireless access point or router. Try placing the device in several different promising locations. While trial-and-error may not be the most scientific way to find a good spot for your equipment, it is often the only practical way to assure the best possible Wi-Fi performance. Install the wireless access point or router in a central location. If you have only one wireless client, installing the base station near this client is best. For multiple wireless clients, find a good compromise position. Clients far away from the router may obtain only 10 to 50 percent of the network bandwidth that clients near it receive. You may need to sacrifice the network performance of one client for the good of the others. Avoid physical obstructions. Any barriers along the line of sight between client and base station degrade a Wi-Fi radio signal. Plaster or brick walls tend to have the most negative impact, but any obstruction including cabinets and furniture weaken the signal to some degree. Obstructions tend to be located closer to floor level, so installing the router high on a wall may improve the signal. Avoid reflective surfaces. Some Wi-Fi signals bounce off windows, mirrors, metal file cabinets and stainless steel countertops, lessening both network range and performance. Avoid installing the router near appliances that send wireless signals. Keep the router at least 3 feet away from anything that sends wireless signals in the same frequency range. Such appliances include microwave ovens, cordless telephones, baby monitors, and home automation equipment. Appliances that transmit in the 2.4 GHz frequency range are most likely to generate Wi-Fi interference. Likewise, install the router away from electrical equipment that also generates interference. Avoid electric fans, other motors, and fluorescent lighting. Adjust the router's antennas to improve performance if the best location you find is only marginally acceptable. 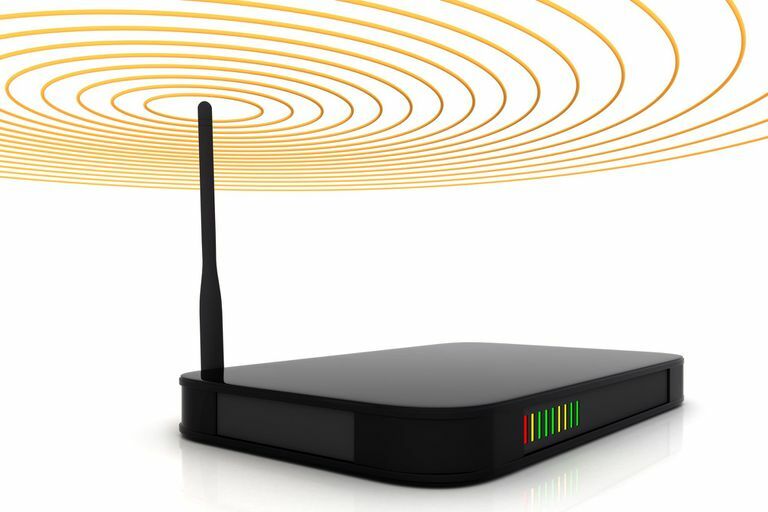 Antennas on wireless access points and routers can usually be rotated or otherwise repositioned to fine-tune a Wi-Fi signal. Follow the specific manufacturer's recommendations for best results. If you still cannot find a suitable location for your wireless gear, you have alternatives. You can, for example, upgrade the base station antenna. You can also install a Wi-Fi repeater (often called a range extender or signal booster). In extreme cases, you may need to add a second router or access point to extend the range of your network. These are just some of the ways you can boost the range of your Wi-Fi network.